Does bwin Live Up to the Hype? Find Out from Our Expert bwin Review! The online gaming industry is home to some of the most interesting array of companies that offer different types of betting and gambling products according to differing player requirements. Despite the wide range of choices, only a few companies offer a reliable online gaming platform that is both trusted and lucrative for the lucky individual. 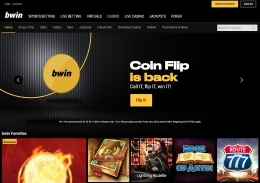 bwin is one of the leading online gaming companies that provides access to numerous gaming products such as live betting, online casino, live casino, online poker, and other classic games. However, bwin excels as a casino, as the platform provides a multitude of popular games in the market for satiating your gambling needs. If you are the sort of person who enjoys taking a risk, the bwin casino is undoubtedly one of the best options in the market. Massive assortment of games bwin Casino offers variations of popular games such as slots, roulette, blackjack, poker, baccarat, scraps, and other table games. Mobile App Their casino games are available on all Android and iPhone & iPad devices. bwin offers a fair and transparent gaming platform as a European firm that has its operating base in Austria, Gibraltar, and the UK. Naturally, European authorities warrant a higher sense of trust, owing to the different regulations that govern gambling, sports betting, and casino games. The entire casino operations are managed by ElectraWorks Limited, a company that is registered with the UK Gambling Commission and the Gibraltar Gambling Commissioner. Players are also protected against unethical business practices, as bwin is routinely audited by several fair gaming commissions such as the European Gaming and Betting Association, the ESSA, and the eCommerce and Online Gaming Regulation and Assurance. Therefore, players have the reassurance of staying clear of most of the scam practices that we have come to experience from even the more accomplished casinos in the market. The security aspect of the website is overseen by VeriSign encryption protocols, which guarantees that all gaming transactions are kept safe from prying eyes. The latest encryption technologies also help players in enjoying a secure financial platform, where all transactions are supervised by a dedicated finance department. We also found it strange that bwin strictly moderates access to its Casino platform for international players, as there are several geo-blocking filters that actively deters players from accessing the website if they are deemed to be from a country where casinos are considered illegal. While it is a part of regulatory compliance, bwin may be missing out on the highly influential gamers from several parts of the globe, who will be looking to play the best casino games that the industry has to offer. Online casinos often attract clients with an amazing choice of bonuses to ensure that an individual service provider can gain an edge over its competition. Similar to a traditional casino, players can also receive a bwin Casino promotions that offer cash bonuses through their Welcome Bonus program. The company is currently offering a deposit match bonus of up to 100%, for a maximum bonus amount of €200 bonus per account. Consequently, the bonus may not be as great as one would expect, but we are largely confident that the company’s regulatory compliance and overall quality of services should put the company in good stead. Aside from the free cash bonus, players are also treated to seasonal promotions that may include a vacation, a cash prize, and gifts. Seasonal promotions usually occur around the holidays and are open for every active client, but the odds of winning are quite low. Every type of promotion has its related terms and conditions, which are also applicable for bonuses. bwin has also created a points-based loyalty program where players can amass points to climb up the loyalty ladder, which in turn allows them to receive exclusive gifts, rewards, and other account privileges. It clearly pays to be a loyal customer of the company, as the Status Points and Market Points can accumulate quite rapidly for a high-roller. What Are Your Gaming Options? bwin offers two different casino platforms, namely, the regular casino and the live casino. 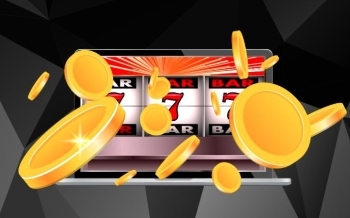 The conventional casino is developed as an RNG platform that houses several established games such as slots, table games, jackpots, and instant win. There is a wide variety of slots and table games, which includes several distinct variations of popular casino games such as slots, roulette, blackjack, poker, baccarat, scraps, and other table games. We found the house odds to be fairly low and on the competitive side, so that should allow players to enjoy more winnings than in a traditional walk-in casino. Of course, the fair gaming policies and strict audits do help in keeping bwin honest in their approach, without having to worry about the company rigging the gaming system to create unfavourable odds. The Live casino is a bit more straightforward affair, which provides live streaming access to dealers in blackjack, roulette, baccarat, and poker games. Players can choose from a few different options when it comes to live poker games, roulette, and blackjack, but don’t expect the live casino to offer the dexterity that is offered by the conventional casino. One advantage with the live casino is that you can be fully assured that the gaming mechanism will not be tampered to increase the house odds, which is one of the major concerns of gamers while choosing a casino online. It also adds a human touch to the proceedings, which should keep the experience all the more exciting. The bwin casino app is by far one of the most interesting and feature-rich platforms among all leading online casinos, as the company has managed to incorporate actual player feedback while developing their apps. Although these apps are not the outright best in the market, they are certainly more pleasing to the eye than the average platforms that are available in the market. 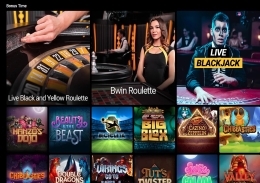 For desktop players, bwin has developed two different interfaces for playing the casino games, which include the full-feature downloadable version and the in-browser casino app. The desktop platform is designed as a full-fledged virtual casino, where players can access games, sort their banking/financial transactions, and manage their accounts through a dedicated gaming interface. The desktop platform also counts on the performance advantages by being able to utilise the system’s resources, which further enhances the casino experience. Of course, being hugely system dependent, the downloadable platform is a bit cumbersome, and players may not be able to access their accounts on the move, unless they have access to a laptop or a desktop with the bwin platform pre-installed. The web-browser platform is a better choice for players on the move, as the browser-based interfaces provide all the main features of the downloadable platform, albeit on a lighter package. There are obviously some limitations when it comes to graphics and the performance aspect, but these are to be expected from a web-based casino platform. 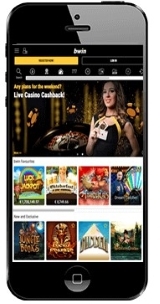 bwin users can download the respective mobile casino platform for iOS and Android devices by scanning the QR codes provided on the website, or by visiting the official App Store or the Google Play Store. The mobile apps have the same level of performance as the desktop platform, but the interface is designed to provide a more convenient gaming environment for the smaller screen. Players can also opt for the tweaked version of the company’s browser-based app, which can act as a suitable replacement for the mobile apps. The browser app is compatible with all major mobile browsers and is the best option for smartphones and tablets that do not run on either the iOS or the Android operating system. The minimum wager amount for casino games is €0.5, but the overall maximum winnings per bet are limited to €10,000 per bet. Therefore, the maximum betting amount varies according to the game, but players are expected to keep their winnings within the maximum limit of €100,000 per week. Obviously, the maximum limits are quite a contrarian for players who are on a massive winning streak; however, the company has apparently enforced such limits to protect their business from any lucky winners who have the potential to cause a great financial loss for the company. That said, there are house limits and wager limitations for a majority of local walk-in casinos and even some online ones, so we can’t find any major reasons to complain. bwin accepts most major currencies, but prefer the USD, the EUR, and the GBP as the base account currency. Payments can be made through the standard bank wire transfer or through a credit/debit card payment, but the company also offers other payment options such as PayPal, Skrill, Ukash, Neteller, and other e-wallets. The casino allows its players to cash out their winnings any time, but there may be some fees or other withdrawal charges that may be determined by the company’s terms and conditions. bwin has a highly detailed Help section that outlines all major points and descriptive details about using the company’s products and services. The Help section also provides answers to the most frequently asked questions, but if a player wants to contact the company directly, bwin offers a web contact form, a live chat, and live customer support number that is available from Monday to Sunday 8 AM to Midnight (GMT+1). bwin is a regulated company that has a fairly reasonable choice of games and competitive odds for both its traditional and live casino platforms. The promotions may not sound too attractive for a majority of players, but the fairness policy, choice of platforms, financial security, and gaming options does make bwin a compelling choice.